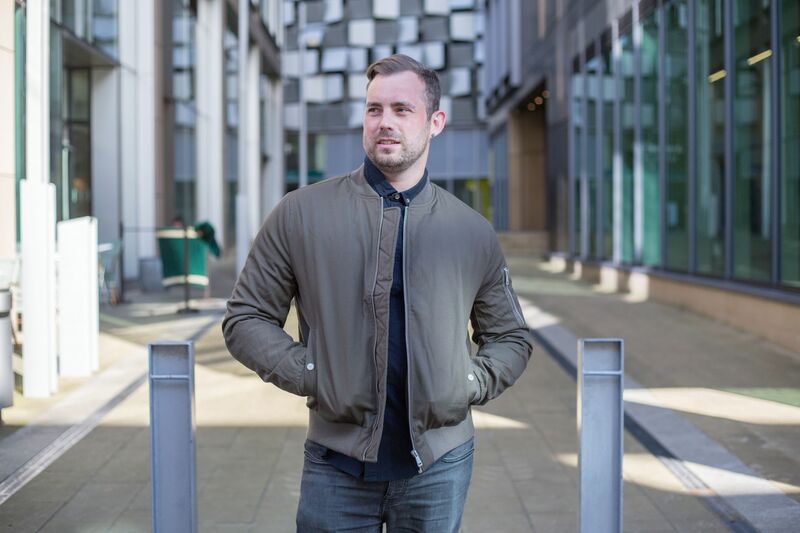 If you’re a regular reader of my blog you’ll know I’m very much a meat lover especially a good steak! It does us good to have a varied and balanced diet, that includes having some meat free days! That’s where Goodlife come in… Meat Free day’s don’t have to be boring! 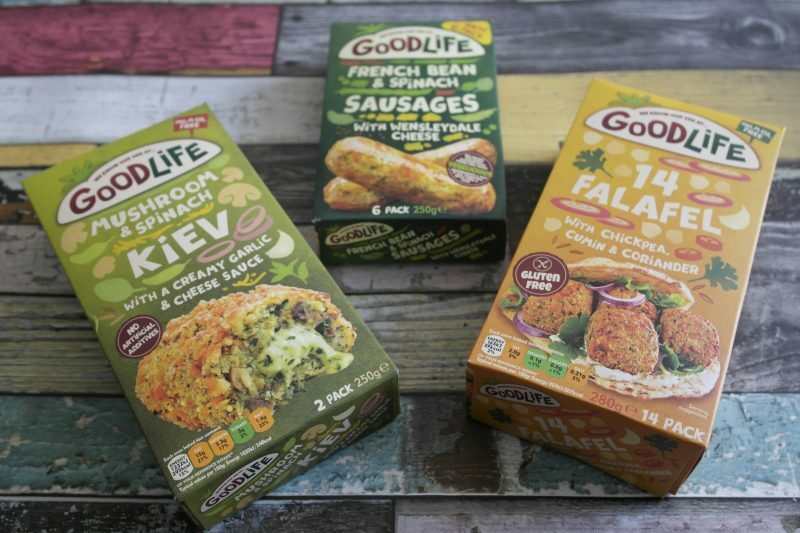 Goodlife offer a range of vegetarian friendly meals created using the best produce of British farmers. All their products use natural ingredients, nothing else is added. Their product range includes sausages, burgers, kievs and grills. 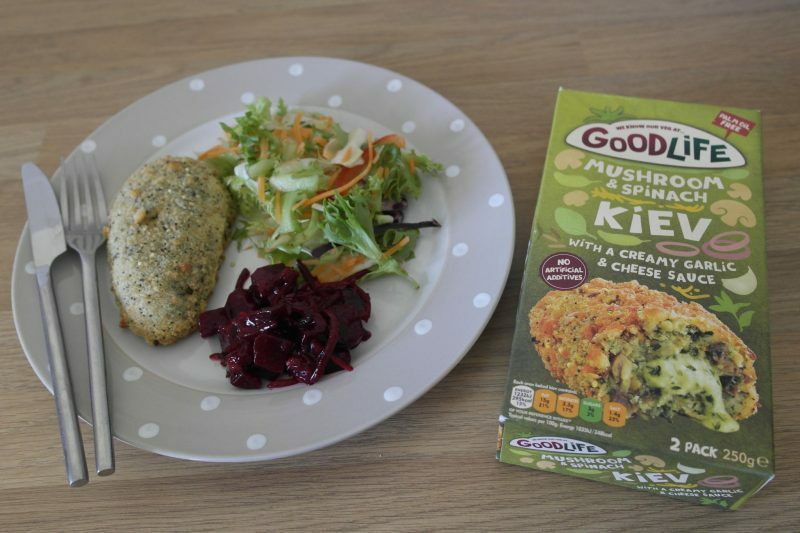 Earthy mushrooms and spinach are combined with a creamy garlic and cheese sauce and coated in bread crumbs to make a healthy and nutritious version of the popular chicken kiev. I was really impressed with how tasty the kiev was! 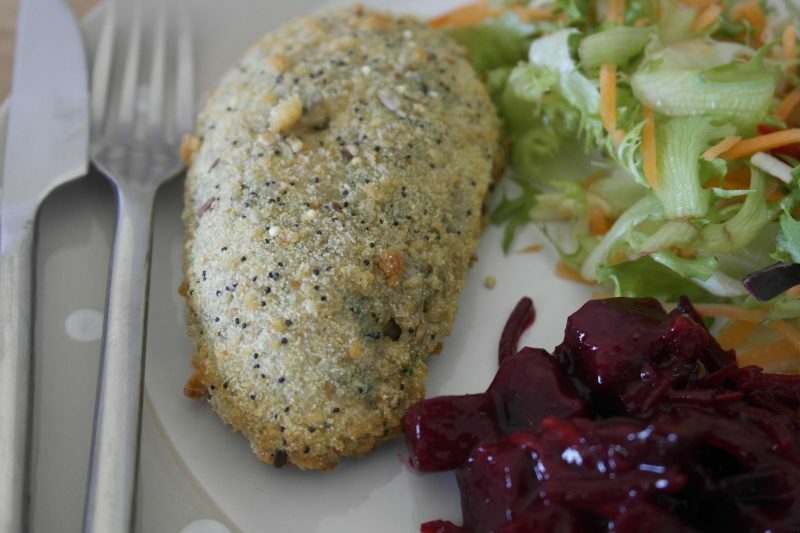 I’d of never have thought a veggie kiev could taste that good! I’d quite happily have it again. 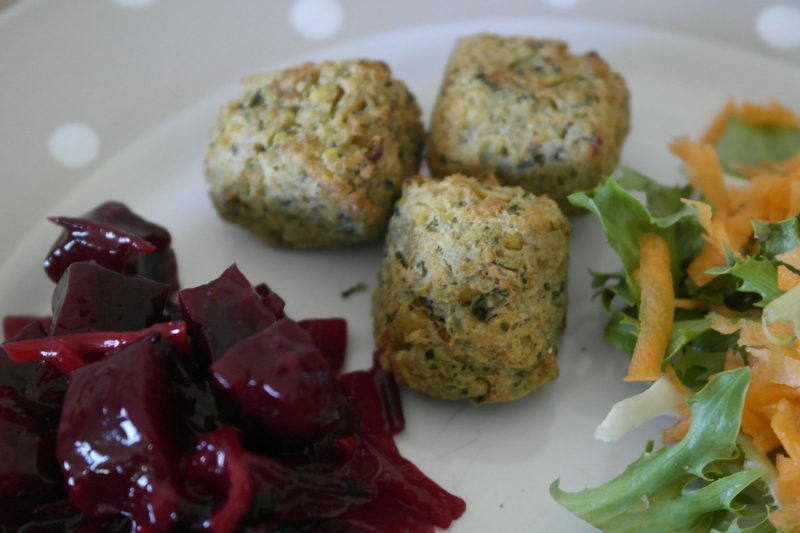 Serve with a leafy salad and beetroot for the perfect healthy and nutritious meal. When I think of vegeterian sausages, I think of bland tasting alternatives to meat. 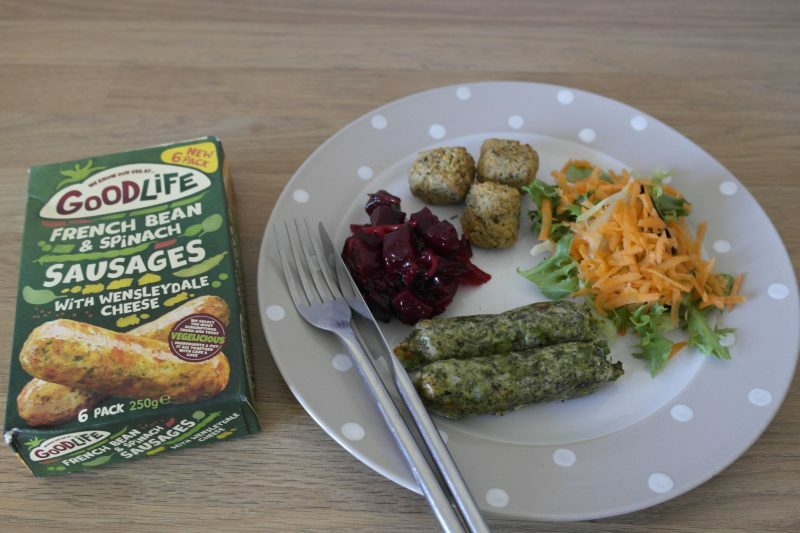 But then I tried Goodlife’s version… French beans, sweet petit pois and spinach are combined with creamy wensleydale cheese making a healthy and low in fat sausage. 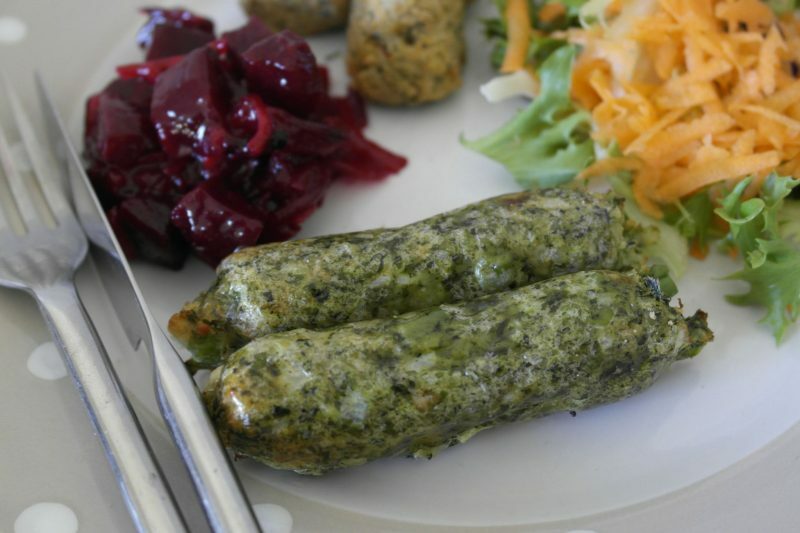 They’re definitely better than some vegetarian sausages I’ve tried! A middle eastern dish made from chickpeas, cumin and coriander perfect as a delicious and healthy snack. These were probably my favourite out of the 3. For me personally, I’ve not had falafel before but I really liked the texture and light spicy flavour from the cumin and coriander. These would make a great snack served in a flat bread with a yoghurt dip. Even though I’m a self confessed meat lover at heart, having a meat free day has been a nice change and is something I’d do again… as long as the food is a tasty alternative! 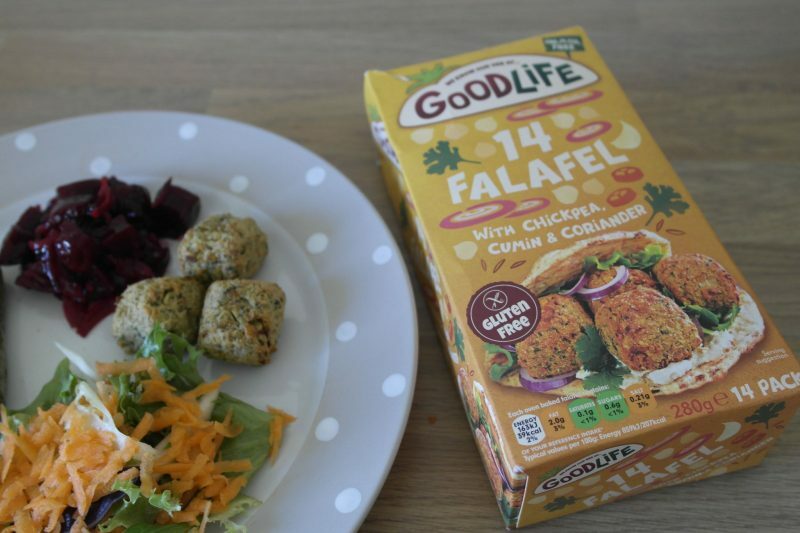 You can pick up the Goodlife range from Ocado, very reasonably priced from £1.89 to £2.65. The Kievs are also available in Iceland Stores priced £2. Have you taken part in #MeatFreeMonday before? I’ve seen these in the freezer aisle but never tried them – love the sound of them after your review though! I’ve tried veggie sausages before but found them dry without much flavour but these sound so much better!